Snoring is pretty common, but some have it worse than others. As many as 40% of people snore sometimes, but 25% have a habitual problem. Not only that, most people who struggle with snoring have sleep apnea. That means you’re not getting enough oxygen, so your quality of rest is affected dramatically. Sleep apnea makes you constantly feel fatigued and affects decision-making capabilities. If you don’t get help for snoring problems now, it could increase risks of heart disease later. There are a number of ways that you can reduce snoring and reverse the effects of sleep apnea. Do you sleep on your back, chest, or side? Maybe a combination of all three? Well, there’s a sleep study science centered on which position is the best. A lot of snoring is done when sleeping on the back. As you fall asleep, the muscles in the mouth relax, and the tongue shifts back. Once the tongue touches the back of the throat, air is impeded and vibrates as it exits the throat. Sleeping on your side can help avoid this. Which side you should sleep on also matters, due to the shifting of the stomach. On your left side, your stomach settles into place. This prevents bile from pushing past the sphincter and entering the esophagus. Acid reflux can cause you to wake up out of deep sleep, keeping you from getting a full night’s rest. There are a number of ways to help retrain old sleeping habits. Some people utilize body pillows to improve comfort. There are also ways to discourage rolling back over by attaching a tennis ball or plastic piece to your back. This should eventually form a habit of staying on your side until you fall into deep sleep. Obesity is an epidemic that directly impacts the functionality of numerous bodily functions. Sleep apnea risks increase by approximately 30% for every 10% increase in weight above normal. Snoring affects all weights, even those underweight, but chronic snoring and sleep apnea is a major problem for those overweight. Losing weight can directly affect the quality of your sleep. This is especially true if a lot of weight was gained around the neck. That added fat squeezes the throat and makes it more likely for the tongue to interrupt airflow. Losing weight can greatly improve sleep, sleep apnea conditions, and in some cases cure it completely. The most dramatic weight losses have been successful at remedying snoring altogether. Eating less than an hour before going to sleep will increase the likelihood of snoring. This is because the process of digestion relaxes the throat and tongue. Depending on what you eat, you could also experience indigestion, which also causes snoring. Certain foods are mucous-producing and can cause snoring, too. The biggest ones are red meat, dairy products, soy, and spicy foods. It should go without saying that caffeinated products are a big sleep disruptor, so watch your ingredients. If you decide to drink alcohol before you sleep, this may also be bad for your sleep apnea. Many believe because alcohol is a relaxant, it will improve the quality of rest. The problem is that is relaxes everything, including tongue and throat muscles. Don’t eat anything heavy before going to sleep and don’t fall asleep drunk. You have to make a decision here: alter your lifestyle or suffer from sleep apnea. What you eat for dinner may help remedy or reduce the effects of snoring. Eating foods with anti-inflammatories like garlic and onion is good for you. Drinking hot decaffeinated tea with honey is also a good option to drink before bedtime. It will relax you and raw honey is another anti-inflammatory and may reduce swelling in the throat. As for colds that induce snoring, add a little turmeric to your food and drinks. This powerful spice has both anti-inflammatory and antioxidant properties that can really clear and protect your throat. Unhealthy lifestyles lead to poor sleep. Stress, in particular, can tire out the body in a way that makes it difficult to get into a good routine. When you work long hours and come home completely exhausted, you sleep much harder. The body will overcompensate by making muscles much more flimsy. This means, once again, the tongue and throat muscles are more prone to touching. This also makes it less likely for one to fall into a healthier side position to sleep. You have to make time for yourself and choose a schedule that allows you to unwind before bed. Working harder isn’t necessarily smarter. While you’re trying to change bad sleeping habits, pay attention to possible nasal blockages that could be causing obstructive sleep apnea. When your nose is stuffed, your body will force you to breathe through your mouth while asleep. This is terrible for those who already suffer from snoring. It will dry out the mouth and create more resistance for air to move through the throat. You’ll snore harder and louder without clearing nasal passages. If your cause for a stuffy nose isn’t from a head cold, then try flushing your nose with salt water before going to sleep. Using a neti pot can also help prevent clogged passages. For more long-term solutions, nasal strips may be necessary. In fact, anyone who snores should try using nasal strips first, just to determine if the problem is in the throat or the nose. Your bed and your pillow need to compliment your body and the way you sleep. Your sleep environment may be directly contributing to snoring and sleep apnea. For example, if you have certain allergens in your room, they could be the culprit for the constriction of breathing passages. Your pillows can accumulate so many allergens and dust, they should be replaced more often than you think. There are a number of great products out there made to improve your bedroom environment. Choosing the right pillow can help elevate your head and neck properly and prevent that soft pallet from vibrating in the back of your throat. When you do go out and buy new pillows, make sure you keep them fluffed to retain their benefits. There are beds out there that are made specifically to combat sleep apnea. Adjustable beds can realign your entire body and reduce the stress on your back and neck. Raising the head just four inches above your body can prevent the tongue from shifting all the way to the back of your throat. It’s hard to recreate this same effect with DIY wedges or small pillows. You need proper support or risk neck cramping or feeling stuck in an awkward position. Sleep number beds and others that allow adjustable firmness can also reduce tension in the neck. If you’ve ever woken up with “cotton mouth” or a scratchy throat, that’s the result of poor hydration. Reduced saliva production makes it difficult to reach the back of the mouth. Plus, when you’re dehydrated, a runny nose can create a thick, sticky coating that increases the contact between the tongue and throat. If you wake up feeling dehydrated, it is worth getting up and drinking a glass of water. Ideally, you should be getting enough water throughout the day, not just before you sleep. This way you don’t create another issue of having to use the restroom in the dead of right. Room humidifiers can also assist in preventing dry nose and throat. Dry air is a real problem for homes, even those that live in humid climates. Air conditioners constantly remove moisture from the air, too. You can try boiling a pot of water on the stove if you don’t have any humidifiers. Lastly, if you have tried multiple at-home treatments for sleep apnea, you may need the assistance of a breathing machine. CPAP (Continuous positive airway pressure) is simply a device that pushes air through the nostrils, keeping passages open and preventing obstruction. These machines can be loud, uncomfortable, and expensive, but they do help. Until you can find a permanent solution, you should use a CPAP to improve the quality of your sleep. If a CPAP is not enough to offset your sleep apnea, surgical solutions may be the only remedy. 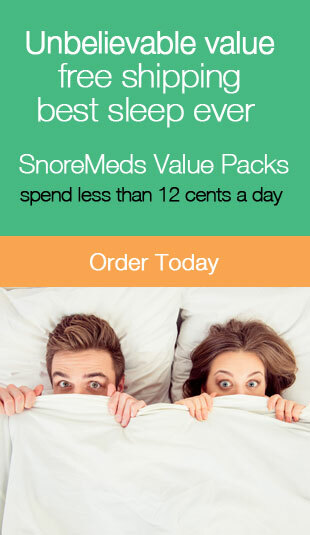 There are still many more products out there that help for snoring and sleep apnea. Many of these are over-the-counter and are affordable. From nasal sprays, throat sprays, to chin straps that realign the tongue and jaw. Many of these products are for low to moderate snoring, but they can help. Education is very important when it comes to sleep therapy. Our website is here to provide answers to an often misunderstood part of our lives. Good sleep is often taken for granted–we don’t realize how important it is until we can’t get it. Take a look at some more snoring remedies and advice on our website. Hopefully, one of these solutions can help you get back to normal. what is the best adjustable bed on the market? Keep reading for our guide to buying an adjustable bed that best meets your needs. The PragmaBed Simple Adjust Head and Foot frame is an easy to assemble, easy to store bed that could be ideal for use in a small bedroom or guest room.